In 2020 the world has changed. Economic and political power has moved from the West to the East. China is the undisputed winner of the continued global economic growth. China is soon to surpass the USA as the world’s largest economy followed by Japan. The world population has expanded by 1.2 billion over the last decade with an expected leveling to 9.2 billion in 2050. Population growth has concentrated mainly in Asia, Africa and Latin America with only 3 percent of the population growth increase occurring in the West over the past 15 to 20 years. More than half the global population now live in cities, not the countryside, creating megacities. In China alone 2 million persons are moving into cities every month leaving behind an aging rural population. However some megacities could collapse due to the lack of infrastructure with sanitation, water, electricity and security being unable to keep pace with the population pressure. Central and Northern Africa and the Middle East are still unstable areas with high political and economic risk. Africa, except southern Africa, is one of the last low cost production areas but corruption and bad infrastructure remain obstacles to investment. In 2020 there are now more people to share the earth’s resources. The uneven distribution of water, food and energy is a source for tension between regions and increases the risk of armed conflicts and terrorism. International institutions such as G20, IMF, UN and World Trade Organisation have strengthened their role as the world tackles global and regional problems such as climate, protectionism, subsidies and energy. Instead of one superpower (the USA) we now have multiple political centres of power; China, USA, India, the European Union and Russia. The world population is ageing. In less than 2 decades the global population of people aged over 60 will surpass the number of children aged under 15 for the first time in history. 60 percent of the world’s older population are living in developing countries. 1 in 7 people will be are or will be over 60.The increasing share of older people in the world is a result from increased life expectancy, up by 11 years from the year 2000. Globally over the last 2 decades the gap between rich and poor has closed in many countries with a rise of the middle class. The emergence of middle classes in traditionally low cost regions has changed the balance of trade and manufacturing. The former huge cost advantages of the low cost countries have diminished, with the pressure of political, oil and environmental taxes, transportation and logistics costs having considerably increased – leading to production closer to the market. (Meaning Note: there are still some large regional differences. Russia followed by Brazil are examples where less than 20 percent of the population owns more than 80 percent of the wealth). As global demand has risen, resources have increased in cost and decreased in quantity. A result could be many countries imposing trade restrictions to secure local markets. Another result is that recycling has become an integral part of the manufacturing process. Many companies will own the complete chain, pushed by consumer and political pressure for increased sustainability. World values have changed in the last 2 decades. In some cases the developing countries have reached a level of lifestyle on par and in some areas beyond the West. Education and access to the internet have empowered and broadened people’s political participation and consumption, changing their attitudes towards authority and purchasing habits. Following the West, societal values have changed rapidly; family structures have become more diverse. Building the society around the individual has changed legal, social and housing policies along with purchasing patterns. In the West particularly, we have moved from religion to the spiritual self. We are turning more to ourselves than the church for meaning and orientation. “Health style” is the new substitute for religion. An increase in spirituality has created two new spiritual realms, the environment and the body. 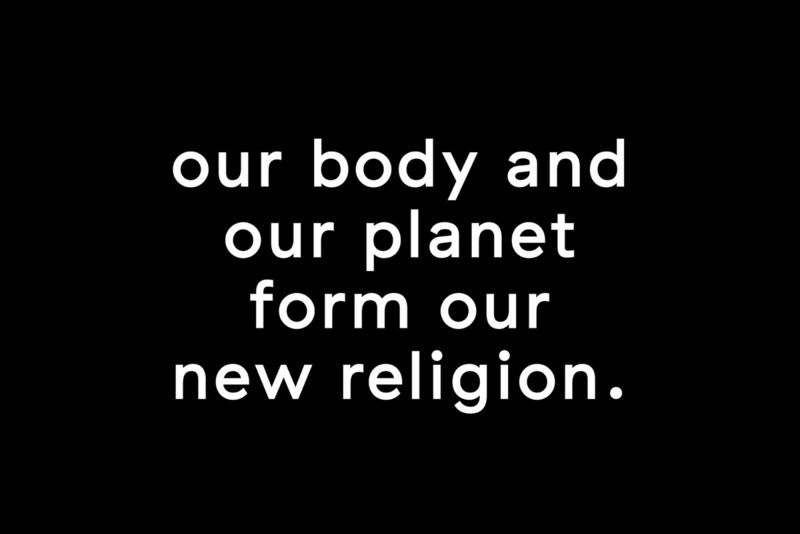 Our planet and our own body are the two new testaments in our new religion. The health and wellness industry has boomed as people strive to find a life balance. Keeping fit, youthful and spiritual in both mind and body compete against the pressures of a demanding Life. Global consumption awareness, consciousness and responsibility for the sustainability and fairness of the planet have emerged. The customer wanting to buy from a global market with a clear conscience has forced international trading agreements and corporations to undertake more sustainable and fair trade business practices. The global expansion of the internet has allowed for this conscientious global consumption even though the demands of pricing and fast availability are still the deciding factors when purchasing. The borders between work and leisure have become blurred as companies and cities adopt integrated work and leisure activities into the workplace and city districts. Successful companies understanding the link between play, creativity and innovation have adopted a more relaxed work style. Cities and villages around the world wanting to encourage strong local communities have grown around like minded interests such as; technology, culture, ecology, sport and entertainment. Social unrest and terrorism around the world is on the increase, driven by radical fundamentalism as an ideology of the socially disadvantaged. Society is prepared to pay the price for individual freedom with acceptance of the increase of monitoring and security measures. The world climate has changed. Human, economic and industrial activity has reached a stage where the impact on the natural environment is now considered to be unsustainable on a global level. Continuation along the current path could lead to a systematic collapse. There is a strong growing realisation by the people of the developed world that we are using the world’s resources in a way that is unsustainable for the future of civilisation. A shift in the mindset regarding mankind’s relationship to the natural world is being demanded. Brands that explore the global intersections of change will address our evolving needs. We predict that in 2020 it will be the brands who help us navigate the intersections of change that will be brands who are most relevant to our needs.